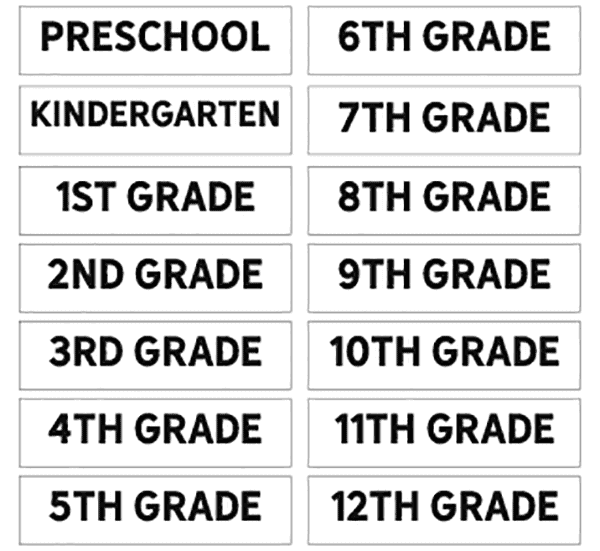 This set of free school work organization printables are going to make your life so much easier! So. Many. Papers. You know what I’m talking about. It starts in preschool, if not a little before when you are just adoring your child’s first real “picture” with the brand new set of Crayola crayons recently purchased at the store. At first you cherish every scrap of paper your precious kiddo takes a crayon to, and then at some point in the not too distance future you’ve got piles of papers. If preschool didn’t overwhelm you Kindergarten for sure did! At first you feel like you can throw some things away but then the art projects come home that are just too dang adorable, the fall “leaves” made with handprints, the painted snowmen. I think the thing that threw me over the edge was the books. The stapled pages of “books” that they made almost every week. When the volumes of work came home at the end of the school year it was overwhelming! Am I terrible if I throw his precious little chicken scratch book about video games in the trash? How many stories does one need to keep? Will he actually look back at any of this in the future? Do I even have 1 piece of paper with my kindergarten handwriting on it? You understand what I’m going through, right?! Please tell me I’m not crazy, because I’m pretty sure there is real mom guilt associated with this! I have a solution. It’s not a brand new idea, there have been others to do it so I can’t claim ownership to it, but It’s a great one. 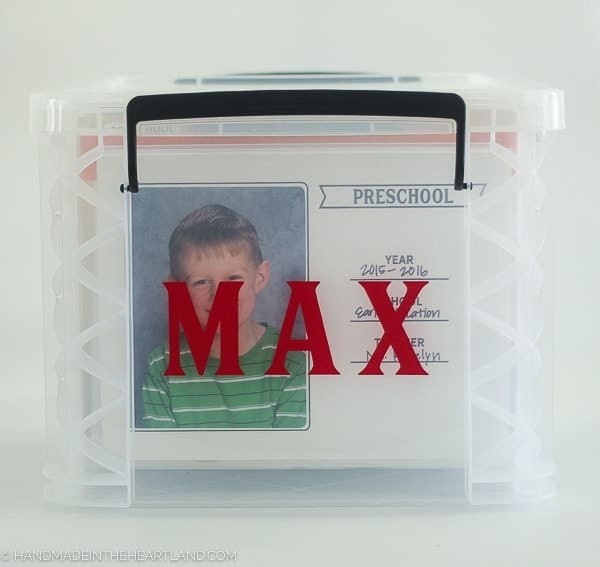 1 file box, 1 file folder for each grade, if it doesn’t fit it goes in the trash. 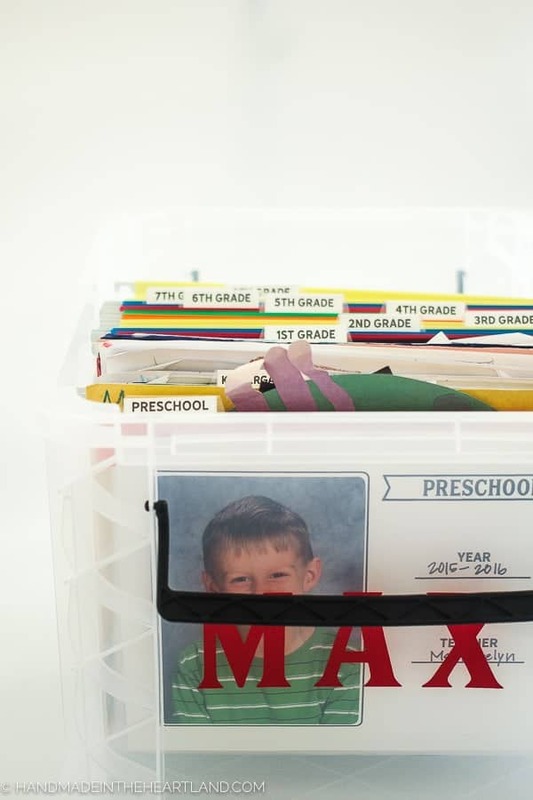 An entire file folder for each year is plenty when you think about it. Like I mentioned who the heck actually has an entire file box of school work from their elementary years? I certainly don’t. So here’s the deal. Go to target (like we need an excuse!?) and get a clear file folder box and a package of hanging files. 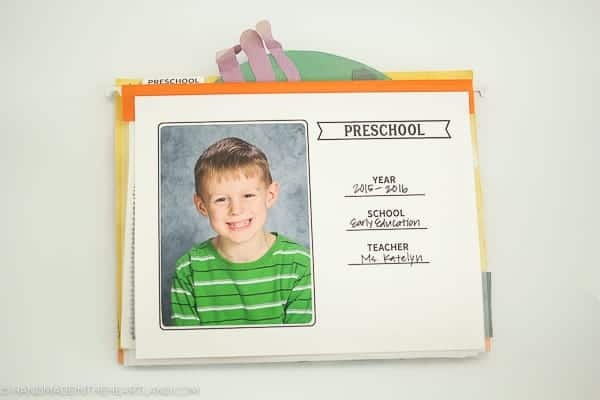 Use white card stock and print out all the files in the zip folder, download link below. 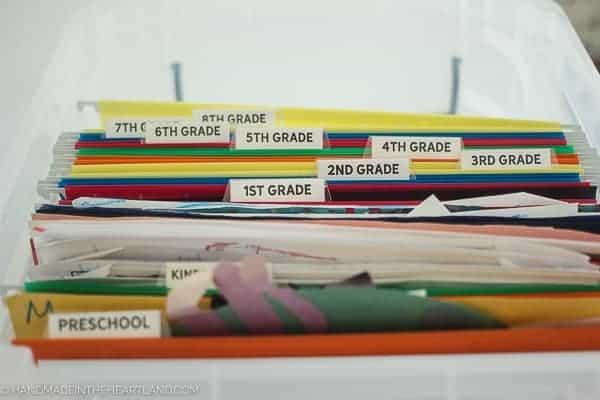 Cut out the tabs and place them in the clear tabs to put on top of each folder. 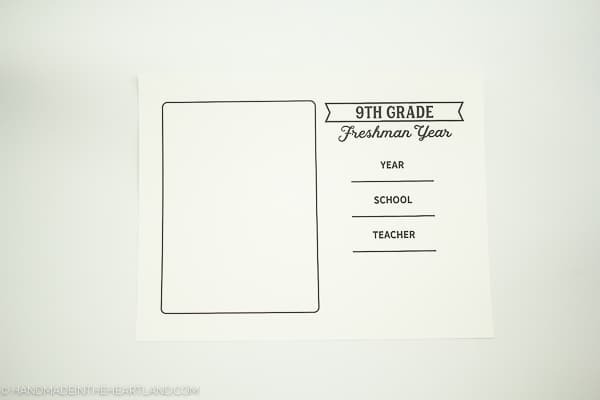 Then use double stick tape and attach each grade page to the front of your folders.